Pushkar Camel Fair is the largest camel and livestock fair in India and is held each year in the holy city of Pushkar in Rajasthan. 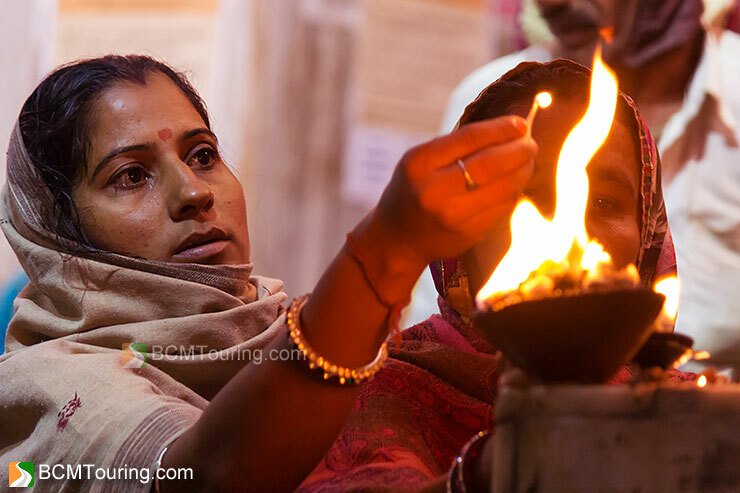 Since Pushkar Camel Fair culminates on Kartik Purnima (full moon in the Hindu month of Kartik), its dates keep on changing each year. In 2018, Pushkar Camel Fair will be held from 16th of November to 23rd of November. If it is camel and live stock trading that you wish to see and photograph, then it is best to arrive in Pushkar around 16th November, since by 20th of November, majority of camel and livestock traders will start heading back to their villages and Pushkar Mela will undergo a transformation, from being a livestock fair to a religious one with tens of thousands of Hindu pilgrims converging in Pushkar, in order to take a dip in the holy waters of Pushkar Lake and visit ancient Brahma and Savitri Temples. On all 8 days of the fair, various events and competitions are held in the stadium (next to the mela ground) and various other venues throughout Pushkar, schedule of these would be available around a month before the fair, so please check back again then. By Road: While majority of the highways in Rajasthan are in good condition, Delhi – Jaipur Highway has several diversions due to ongoing road work. Hence it is best to leave early in the morning from Delhi, in order to avoid getting stuck in truck traffic on this stretch of NH-8. By Air: Nearest airport to Pushkar is at Jaipur and from Jaipur you can take bus, taxi or train to Ajmer or Pushkar. By Train: Ajmer is the nearest major railway station and from here you can take train, bus, taxi or auto rickshaw to Pushkar. By Bus: Rajasthan Road Transport Department runs regular buses to Ajmer from Delhi, Jaipur and other various cities of Rajasthan, along with several private operators and from Ajmer you can take a bus, taxi or auto rickshaw to Pushkar. While sunrise and sunset at the fair ground is magical and worth photographing, various events held at the stadium provide an excellent opportunity for photography and shouldn’t be missed, so make sure to attend these as well. After dark, circus, maut ka kuan (circle of death) and various other attractions make for perfect photography opportunities and don’t really cost all that much to attend and photograph (buy/borrow/rent a fast prime, if you don’t have one already). Respect people you are trying to photograph, irrespective of the economic class they belong to and move on if they object to being photographed. There are people at Pushkar, who are just there to make money from tourists photographing them, so be ready to hand out cash (generally Rs. 10 or 20), if you photograph such individuals. 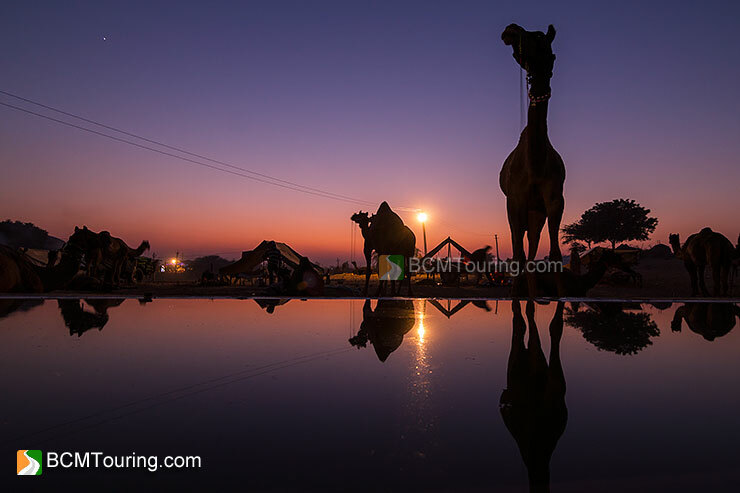 Yogesh Sarkar is the founder of BCMTouring and a travel writer and photographer based in New Delhi, India. He loves exploring India on his motorcycle and his favorite travel destination is Ladakh. Excellent detailed information .Had visited Pushkar Fair in 2003 and was amazed viewing the crowds as well as cattle and camels on display.Numerous contests were held on the fair grounds and the man with the “Longest Moustache” enthralled the tourists.My advice to every Indian and foreigner is to visit Pushkar at least once in their lifetime. Yogesh ji, what will be a suitable time for visiting Pushkar? During camel fair if you wish to witness it and don’t mind the crowd. Otherwise, November to March is good time as well. Yogeshji What is the best time for visiting Pushkar? Anytime between November and February is good. However, if you’re looking to see Pushkar buzzing with activities, then it is best to go there during Pushkar festival. Quit our jobs, sold our home, riding around the world!!! How to shield car windows from Sun light?